The Dist. 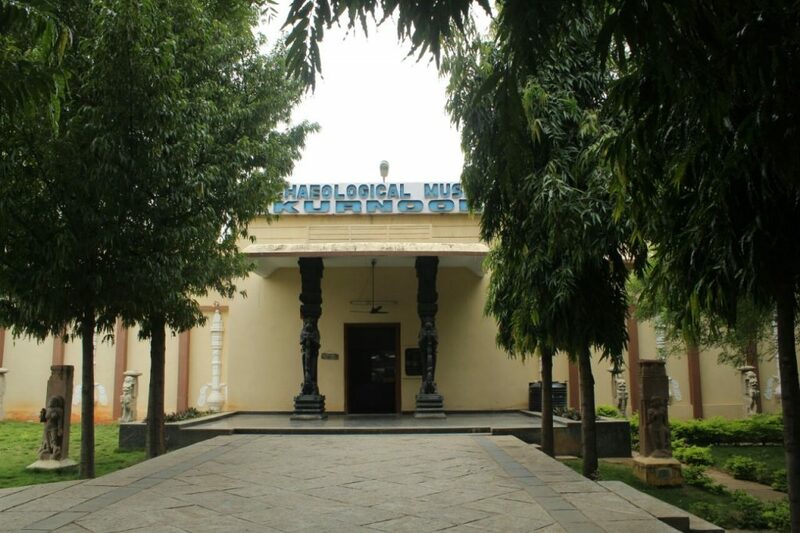 Archaeological Museum is located in Budavarapupeta of Kurnool Town in a new Govt. building constructed on the right bank of Handri River and thrown open to public on 31-8-1999. Many of the antiquities are displayed in the glass showcases in ‘L’ shaped Museum Hall. The antiquities particularly stone sculptures collected from the submergible villages of Srisailam Project and datable from Chalukyan period to late Vijayanagara periods have displayed on cement pedestals in and around the museum hall within the compound wall. There are nearly 150 Architectural members such as door jambs, lintels, inscriptions etc are kept in the backyard. The Museum Shop and its counter are located in the entrance complex. The museum is also housed Pre, Proto, and Early Historic, archaeological Artefacts, Pottery, Sculptures, Bronzes, Arms and Weapons, Paintings and Inscriptions.